NEW DELHI, INDIA: During his recent visit to India, the founder and CEO of Facebook, Mark Zuckerberg met the prime minister Narendra Modi and expressed his interest to work with the Government of India in the field of healthcare and education, providing a range of services to the people. Zuckerberg said that he is extremely excited about the Digital India initiative of the Government of India. PM asked Zuckerberg to identify some domains of Digital India where Facebook can get involved and help. 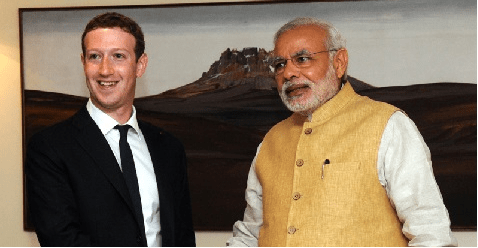 The Prime Minister spoke to Zuckerberg about the Swachh Bharat Mission. Modi shared his ‘Why Clean India’ and ‘My Clean India’ photo along with a video on Facebook on October 3, 2014. Facebook will also help in the creation of the Clean India mobile app which would be launched soon.